When FX premiered Noah Hawley’s Legion, much ado was made about the series being a “new” kind of superhero story. Though its main characters are mutants, its production design has a distinct affectation to it; the cast is inexplicably dressed like they’re posh socialites in the late ‘60s, and every set, even Clockworks Psychiatric Hospital, is drenched in rich jewel tones. Legion is set in the present time, but Hawley’s version of the world is far more stylish and sleek than our own. Surely, mainstream critics all said, this isn’t an X-Men story. The X-Men are cheesy, and Noah Hawley is an artist. 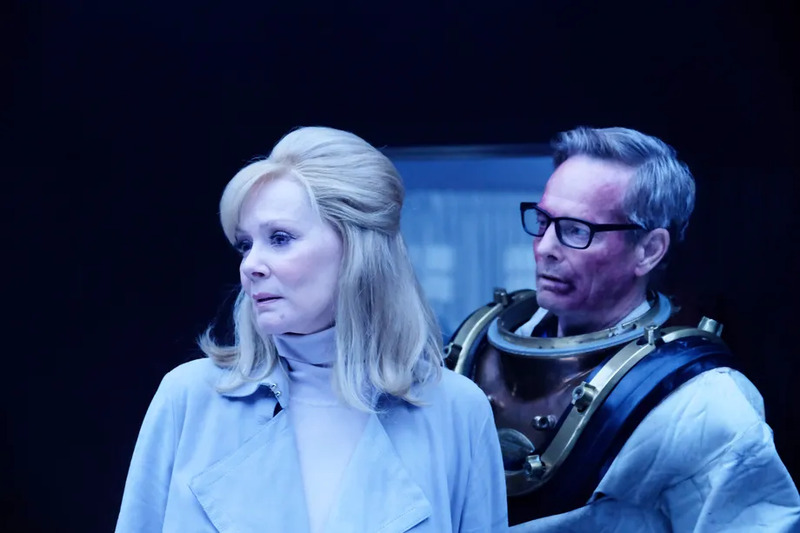 Well, Marvel fans can relax after this week’s episode, in which Legion becomes a classic story about mutant superheroes and a mutant villain. Legion may be styled differently than X-Men: Apocalypse (thank god), but at its core, its nerdy heart beats in the same cadence. Aubrey Plaza’s “Lenny” character is finally outed as the comic book baddie the Shadow King, and we get a sneaky shot of a wheelchair wheel with a big X on it. The X stands for, of course, Professor Xavier’s wheelchair, which he used when instructing the X-Men, and presumably when conceiving his son, David Haller. The show has hinted several times at David’s birth father being a “holier than thou” powerful guy who wanted to protect David from the Shadow King. In the episode’s final moments, Team David breaks out of his mind and develops a plan to take down the series villain. Couples are reunited, including Jemaine Clement’s Oliver and his wife Melanie (Jean Smart). Together, their characters have aided David in the way Professor Xavier would any young mutant, if he were simply included in the show. Legion airs Wednesdays at 10 p.m. EST on FX.